If you are like a lot of us in the studio, then you don’t have very many options in the way of green clothing for St. Patrick’s Day. But have no fear! 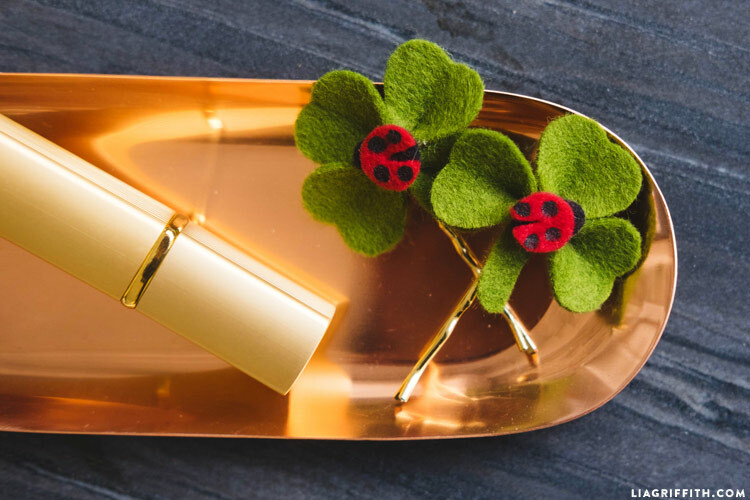 This clover hair clip tutorial is the perfect option for adding a pop of green to your wardrobe so you can avoid being pinched on March 17. 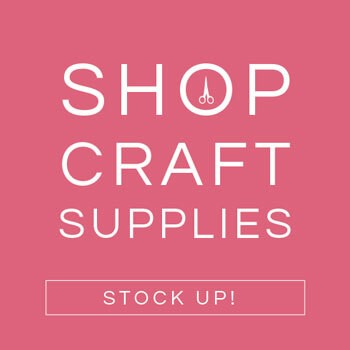 Because the project is so simple, you can easily turn it into a kid’s craft by using a tacky glue instead of a hot glue gun. 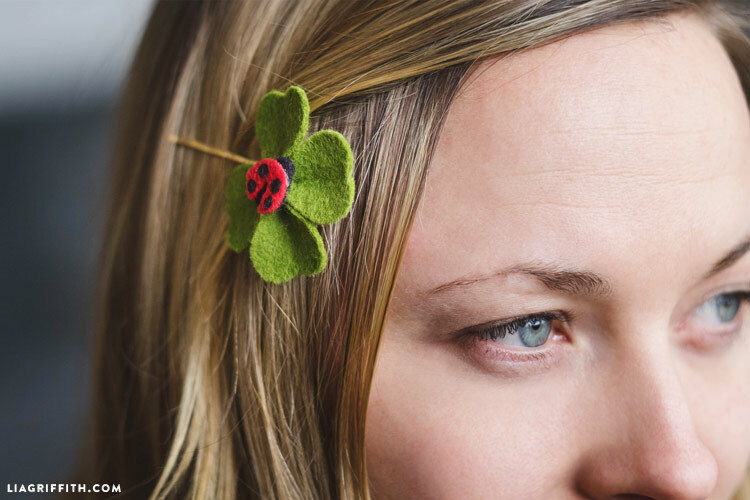 For an extra does of cute, we added a felt ladybug to the hair clip, but feel free to do your own customization! 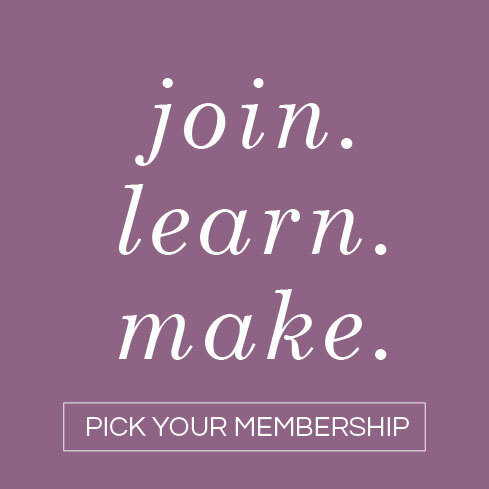 Print the PDF template below and cut your felt piece according to the pattern. 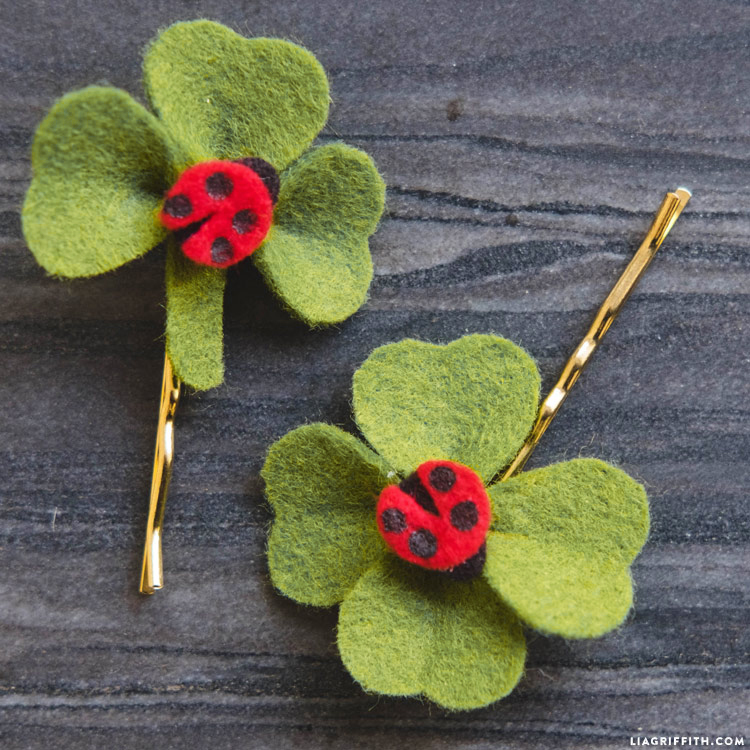 Paint dots onto the red felt piece (ladybug wings) with black paint using the back end of a small paintbrush. Let dry. Add a dot of glue at the base of each clover leaf and pinch. Glue the leaves together at the base to make either a 3 or 4-leaf clover. Glue ladybug onto the middle of the clover. You can also add a stem under the clover if desired. Glue your finished clover onto your hairpin. 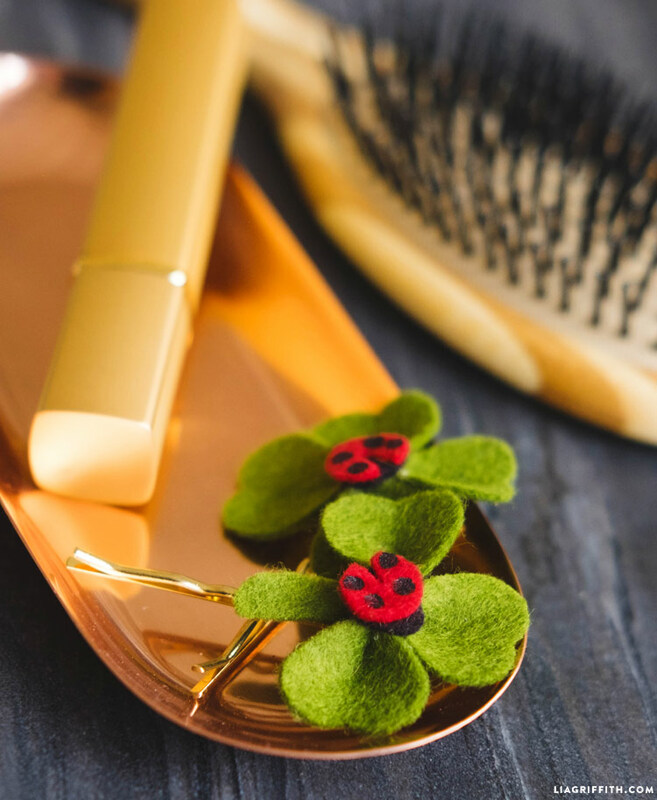 Follow the photo tutorial below for a visual guide to making this clover hair clip! We found our pretty green felt in Moss by Benzie Design. Some of our other favorite felt resources are Felt on the Fly and A Child’s Dream Come True. 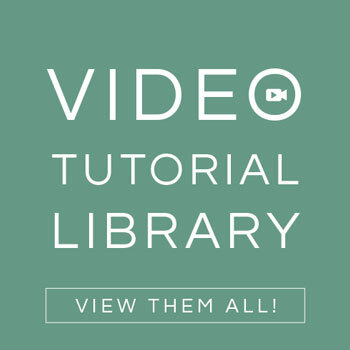 This project is really straightforward, so it is a great DIY to do with your kids! If you are doing this with little ones, however, we would recommend using a quick dry tacky glue rather than a hot glue gun.